The World Wide Web Consortium is pressing ahead with its project to standardize a DRM system for the web, without taking any legal steps to protect people whose legitimate activities would be impaired by the DRM system. DRM systems are protected by a global set of laws that ban tampering with copyright-controls, even when you're engaged in otherwise legal activities. This notoriously interferes with security research (researchers who disclose defects in systems with DRM face legal threats, lawsuits and even jail time, leaving the users at risk of being attacked as these defects fester). But an equally important activity that DRM interferes with is accessibility adaptation, which, despite being protected in many countries' copyright laws, turns into a legal minefield if DRM has to be removed in order to make a copyrighted work accessible for people with disabilities. The W3C's DRM standard for video makes many admirable and important accommodations for people with disabilities. If you have metadata -- subtitles, descriptive tracks, translations, warnings about strobe effects, etc -- it's possible to bind that metadata to the video without having to bypass the DRM. The problem is in generating that accessible metadata. The companies that want to use DRM to restrict their video playback -- Netflix and its competitors, possible for-pay Youtube versions, etc -- have hundreds of millions of hours' worth of video in their collective catalogs. No one is going to manually analyze all that video to generate the metadata needed to make it accessible and safe. But computers can already easily generate some of that data (for example, identifying upcoming strobe effects and pausing the video before they're displayed) and will certainly get better at this in the future. EFF has proposed a solution that lets rightsholders protect their copyrights without interfering with these activities: a "covenant" through which members promise not to use DRM law except in cases where some illegal activity has taken place. So a rightholder could sue someone who makes a tool that infringes copyright, but not one that generates subtitles. The W3C's accessibility team hasn't backed this proposal, betting instead on convincing the Netflixes of the world to voluntarily generate all the metadata that people with disabilities might need. They argue that rightsholders would not back a proposal to immunize accessibility analysis, and by making this compromise, they keep the rightsholders at the negotiations, where they can be coaxed into keeping the existing accessibility features intact. But other accessibility groups have backed it, and the W3C is presently engaged in the first-ever appeal of a decision by its Director. I hope that the accessibility community and its a11ys realize that this is too much to compromise on: things that are legal (like accessibility adaptation) shouldn't become legally fraught through the W3C process. If rightsholders won't limit their DRM enforcement of W3C standards to people who've actually broken the law, they're asking the W3C to legitimize something that is wrong. Legislatures, not entertainment companies, decide what we can and can't do with copyrighted works. Adding DRM shouldn't give a corporation to invent a legal right that states will enforce on their behalf. When I push Brewer on the automation issue, she admits that "it could be possible to construct very particular use cases" where DRM and automation conflict, "but I feel like that's beyond what I'd ordinarily comment on for the standard [the new rules on DRM in Web video]." There's nothing in the new standard, she made clear, that would stop an automated system from inputting accessibility information. The burden rests with content creators or rights owners to ensure that their product is accessible. 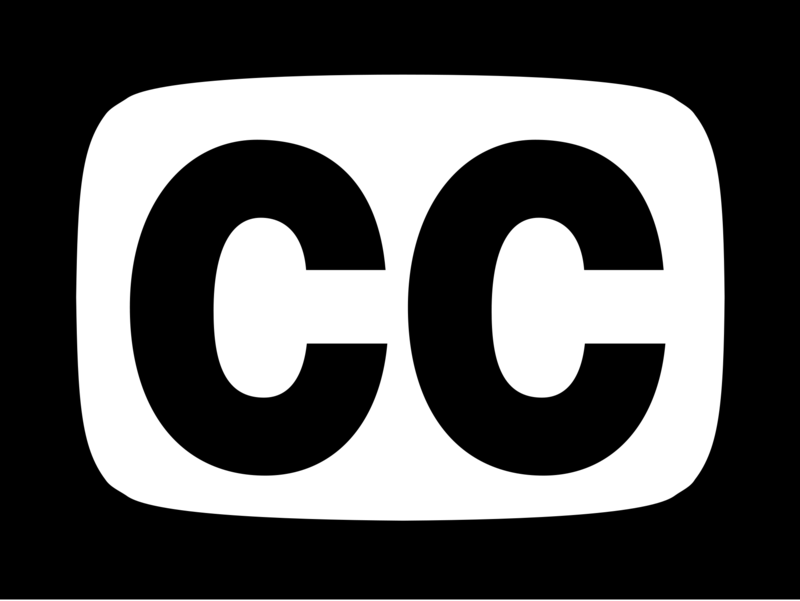 For W3C, if a media company doesn't add captions and DRM makes it hard for outsiders to add captions, the media company should be held accountable and pushed to do better. Brewer has not allayed all my concerns, in part because the law on copyright (as opposed to laws on disability) suggests that legal obstacles to accessible video remain. It does seem that, if third parties want to make media accessible, the new standards will enable rights holders to punish those third parties under the Digital Millennium Copyright Act. We've seen companies use copyright to limit accessibility before. In 2014, Wired ran a story on the ways that publishers were limiting text-to-speech devices for e-books. Audiobooks are big business, after all, and a cheaper screen reader might have seemed threatening to publishers. Publishers deployed DRM to keep books inaccessible. We were having this debate back in 2003 as well, when early DRM was deployed to stop "Fansubbing," the practice, especially among anime users, of inserting their own subtitles into Japanese-language videos. Video has only grown more essential to the Internet since then, both in terms of access and profits. “Different forms of digital rights management already exist," Brewer says. "What WC3 can do in regards to EME is to confirm that accessibility support throughout the WC3 standards ecosystem is leveraged in any potential use of DRM." I have the sense that she does not want to get too deep into the core issue of whether there should be DRM in any particular system, but to make sure that she's supporting accessibility in all contexts.